A bokken is a Japanese training sword often constructed of wood and shaped like a katana. They allowed for a safer and inexpensive way for Samurai Warriors to train. Today they are also used as a training aid in other types of Martial Arts training. Its simple wooden construction demands less care and maintenance than a katana. Kenjutsu Martial Arts Practice Bokken is constructed of hardwood. The handle comes with characters to give this piece its own unique style. 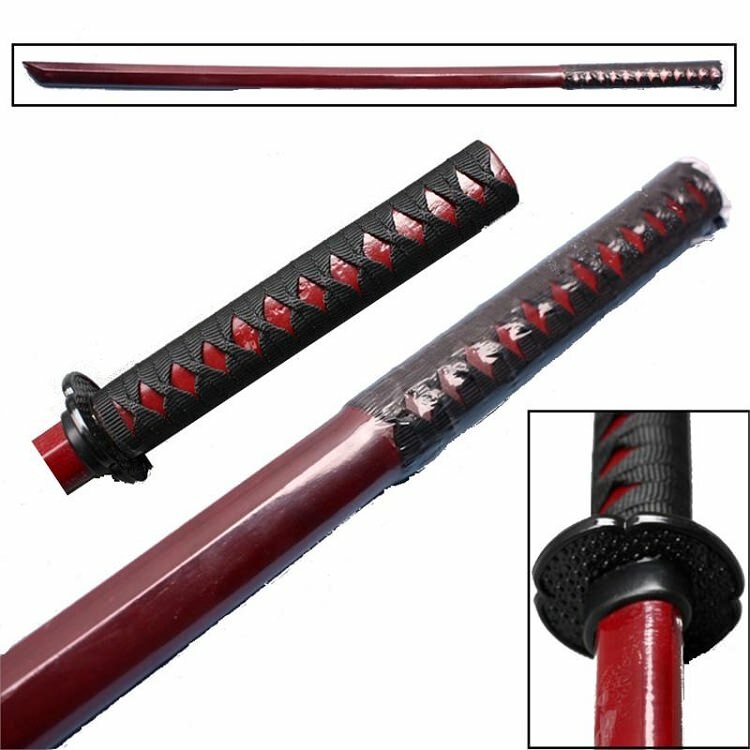 This item is a must in continuing with your Kenjutsu training.